The Chupad D501 is a wedge shaped camera made in China released in the second half of 2016. This is the first camera we have seen from the Chinese manufacturer Chupad. The D501 is based on the Novatek NT96658 processor and Sony Exmor IMX322 CMOS sensor. 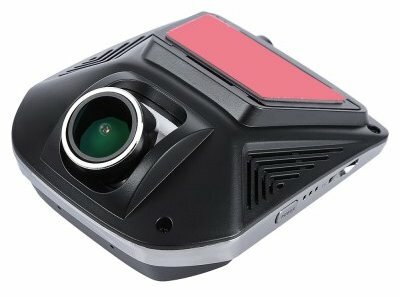 Currently this is one of the lowest priced dash cams with a Sony CMOS sensor. The maximum resolution of the camera is 1080p at 30fps and it records with a bit rate of approximately 12Mbps. What is impressive on this camera is the video quality. Video quality during the day is very good and night quality is good. For less than $60, the D501 has arguably the best video quality at this price point. Another surprising feature of this camera is that it comes with WiFi (Finalcam iOS / Android app), which is quite rare at this price point. It comes with a 2.45″ screen and G-Sensor but it does not come with GPS. 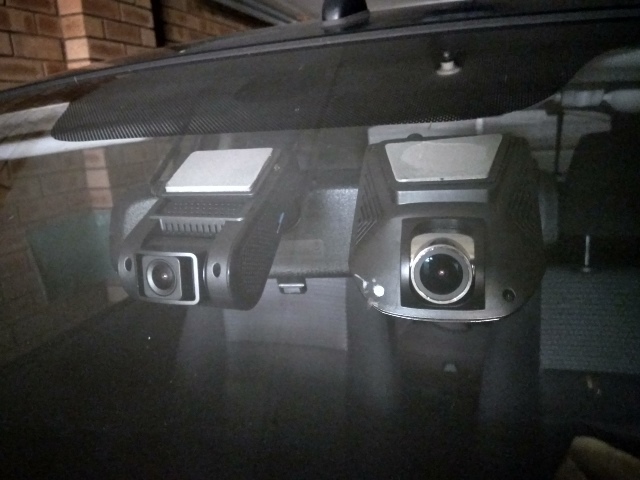 No parking mode is available and be sure to turn off motion detection since it does not work well with this camera. Build quality is quite good and the size is reasonable at 83mm x 66mm x 35mm. The wedge shape allows it to be mounted discreetly as well. One unfortunate aspect of the design is the chrome ring around the lens and around the mid section of the camera. We would prefer a fully black camera to make it more discreet. Our members Sunny and Agie provided detailed reviews of the Chupad D501 on our forum. Sunny also created the following unboxing video with video clips as well. Some owners have indicated that the Finalcam app can occasionally freeze the camera. You will need to reset the camera via the pinhole reset button. There appears to be more issues with the Android app depending on what smart phone you are using. There is no known solution to this problem. Agie provided this photo comparing the A119 on the right with the D501 on the left mounted in a car. If your 2 main criteria for purchasing a camera are best video quality for the lowest price, the Chupad D501 is very difficult to beat. The video quality is some of the best for the lower than $60 price point and having WiFi as well is a great deal. Initial reliability also appears to be good. That being said, there are a number of drawbacks to consider (no GPS, limited / no manufacturer support, LCD screen does not automatically turn off, chrome highlights, battery based camera). If you can live with the drawbacks, the D501 is a good choice on a budget. If the drawbacks are a showstopper for you, the VIOFO A119 may be a better choice for a few more dollars. You can read what other owners of the camera have to say on our Chupad forum. The Chupad D501 sells for approximately $60. We have not been able to source any firmware for this camera. Final Word Likely the best video quality for under $60 but be aware of drawbacks.